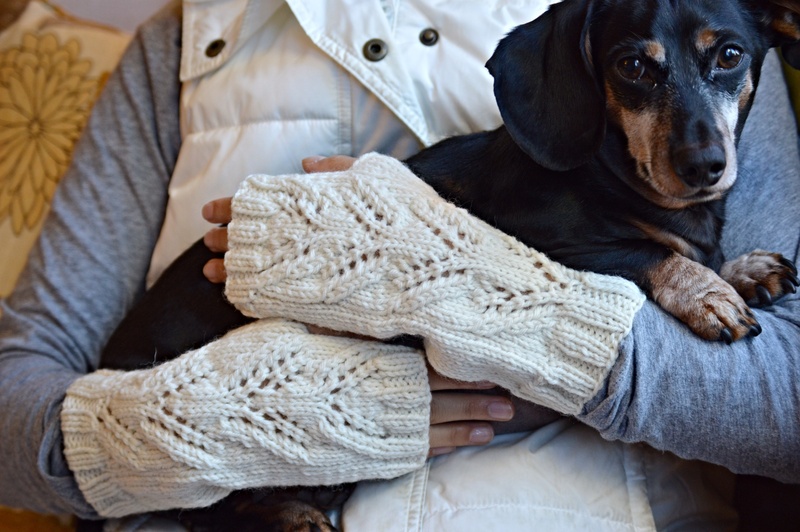 This is my second post about hand warmers. After knitting my last pair, I decided to try out three new designs. One is grey, another is orange and yellow patterned, and another is an ivory color with eyelet stitches. 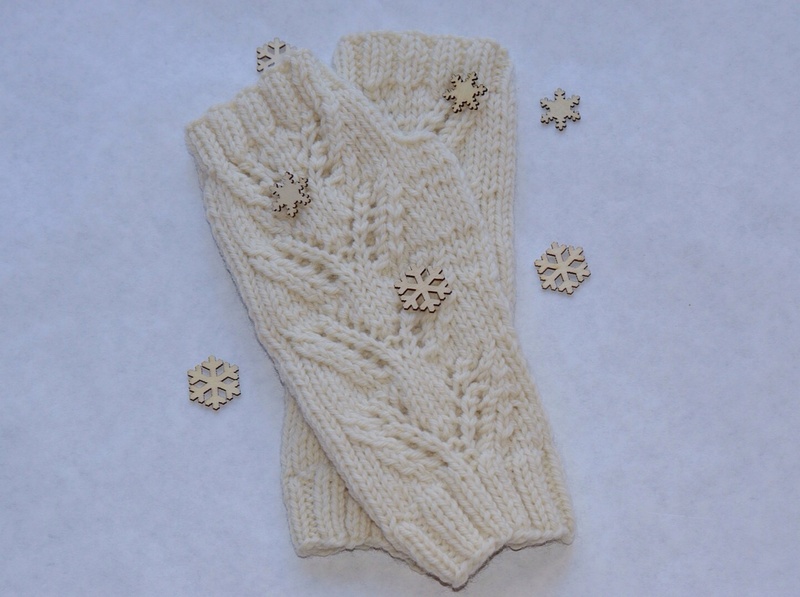 I like to knit hand warmers because I don’t need much yarn to make a pair and it only takes a few hours to make. 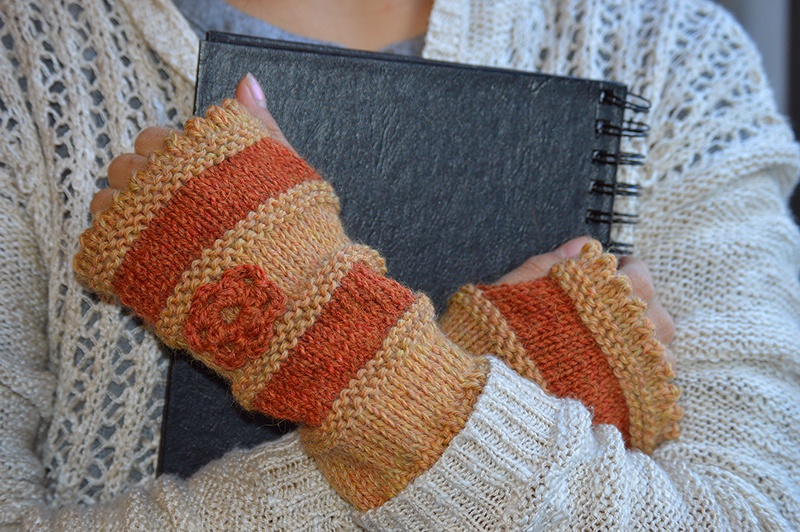 Once I decide the design, I can knit hand warmers in various colors. I especially like the off white colour because it gives the essence the snow.